Recently a friend and I were talking about some of our district meetings, some of which are the occasional ‘Tech’ meetings. We have tried the ‘Cafeteria’ style, where teachers choose from a list of presenters & presentations/workshops. It’s worked ‘okay’, but not great. And as my friend and I were talking, we got around to all the different things that my students do in class. She then suggested having students give some of the presentations/workshops! I know, she’s brilliant! 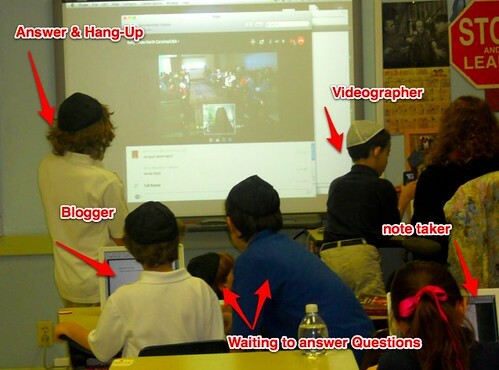 Now many would be skeptical of the idea of having 5th graders presenting to a group of adults. I will admit that, while I thought it was brilliant, I had my doubts that my students would be open to the idea. To my surprise, they were on-board. Many of them asked when the meeting is, and what they should present! Two girls want to show off their knowledge of ‘Animoto’, another boy wants to do a whole presentation on using iMovie from an iPhone (via Reflector – his idea), and a few others that want to present, just not sure on what. My students are FEARLESS and amazing! After school I was talking to another teacher about the idea and my students’ responses. She also felt that it was an awesome idea. She pointed out that many teachers don’t think students can do what they have seen in the (past) presentations/workshops. She went on to state how powerful the experience could be for the students and the teachers. Teachers would not only see that students COULD do it, but have a deep understanding of the different tools or apps being used, and how these tools can be used to show their knowledge in different subjects. And the students would shine, gain confidence, and experience something so HUGE at such a young age. I can’t wait to see how this ends, or should I say begins (let’s hope this is the beginning of something great)! I’m so excited. I will definitely be blogging about their success in about a month! Stay tuned. 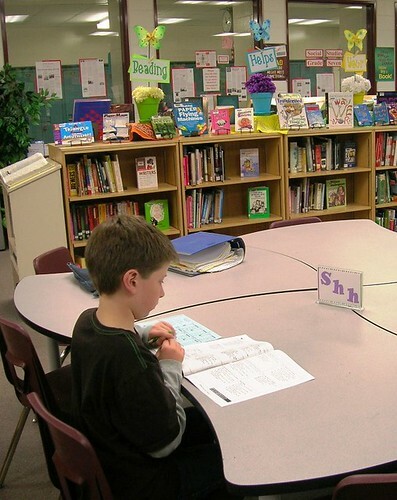 If you have been to a Google Summit or other Googley type event, you have most likely witnessed a Demo Slam. For those of you who have not, a Demo Slam is where a presenter (anyone really) is given 3 minutes to show off their coolest, geekiest, most interesting tech ‘thing’. I have seen Demo Slams on tricks in YouTube, useful Chrome Extensions, tools in Google Docs, and Google Easter Eggs. I began doing Demo Slams in my classroom. It began as a way to teach my students some simple tricks to help them in class. For example, I showed them ‘Build With Chrome‘, how to search images with reuse policies, and a few Chrome Extensions. It was a success from the beginning. My story doesn’t end here. Not to be outdone, my students begged to begin doing them. You see, they like to ‘Out Geek’ me. They have each made it their mission to find a trick or two that I don’t know about. And yes, they have taught me so much! Of course I was thrilled that they wanted to do slams. So now I have a sign up sheet in my class. They can sign up for a slam anytime they want. I also have official time keepers. I just sit back watch, and learn new things from them. One of the biggest successes came with ‘Build With Chrome‘. I briefly showed the tool, and as always encouraged them to explore it more on their own. I have a student who loves Minecraft, Legos, and creating, but is not big on getting up in front of the class and presenting. He took the idea and ran with it. He signed up for his own account, showed others what could be done with it, and ASKED if he could do a Demo Slam on it! So pleased with their initiative, I have offered to share out the Demo Slams with other teachers. Recently, 2 girls went to a second grade classroom to show them a few keyboard shortcuts. I had 2 boys read about Anne Frank, and give a Demo Slam about what they read. Yeah, we decided Demo Slams don’t have to be tech related. It’s a HUGE success with my students. They are confident, learn from their mistakes, take chances, and freely share their knowledge. What more could a teacher ask for? 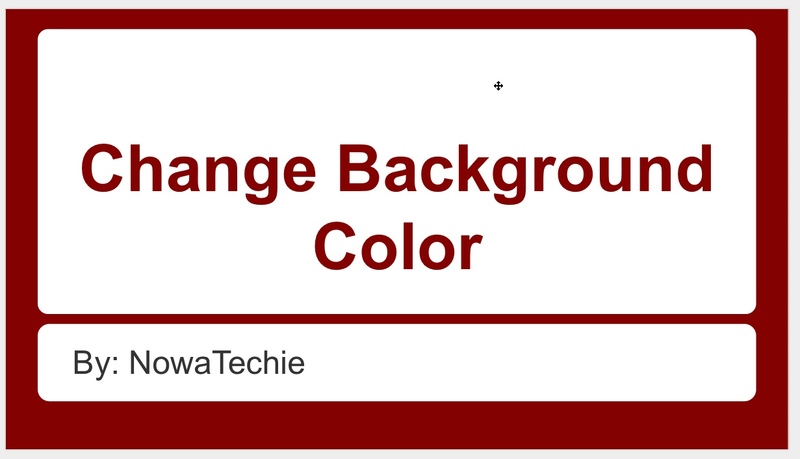 So, say you like a particular Theme in Google Presentation, but not the color. Well, that is an easy fix! 1. Choose the desired Theme. For this example, I chose ‘Label’. 3. A pop-out window will appear. This is where you can select a new color. 4. Select ‘Apply to all’ in order to have a uniform looking presentation. 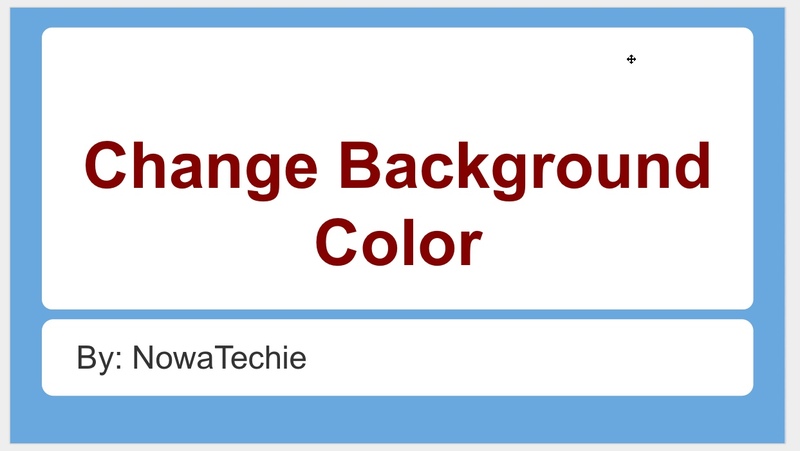 Then select the blue ‘Done’ button, and viola you have customized the Presentation Theme. It may be gray and dreary outside, but inside Cal Poly’s Cotchett Education Building the ideas are shining! Today is Central Coast Teacher Tech Challenge Day (#ccttcd2014). What an awesome day! The day began with Holly Clark giving us an inspirational talk. She challenged us to actively engage ALL students. She reminded us that engaged students are talking, moving, collaborating. Holly also brought up the fact that collaboration isn’t Student A does part 1, Student B does part 2, and then coming together to report out the information. Collaboration is working TOGETHER on a joint project. A great example she cited was Mystery Skypes/Hangouts. 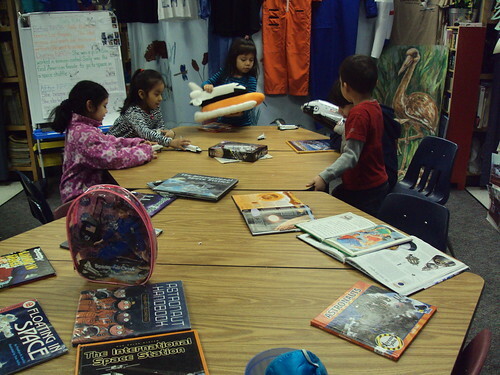 Students work together, as a class, to discover where in the US another class might be. We then went off to our sessions. What made this different from others I have been to, is that 1 session contained 2 presentations. The presentations were paired to compliment one another. 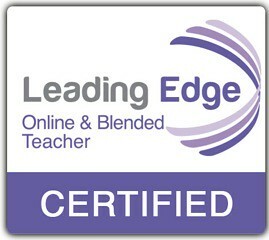 My first session was on Blogging. I was paired with Teacher Hovey and Teacher Townshead, who shared about music in the classroom, and the different tools that could be used. Each presentation lasted about 20 min, with 10 min at the end for Q & A. Finally Dr. Beverly Young spoke about CCSS and Next Generation Science Standards. A brief history of the new standards was given. She went on to state that assessment should be an extension of the learning process, this is what SBAC was designed to be. Dr. Young pointed out that students will be tested on a new assessment based on a curriculum in which they have had little experience with (1 year in many cases). 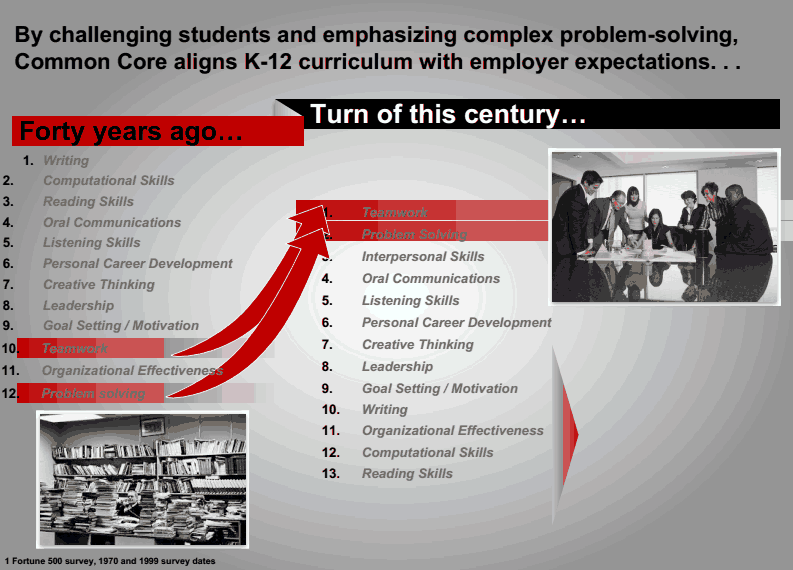 She posed the question, how long will it take us to see the results of CCSS curriculum? 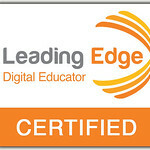 All in all, I LOVE hanging out with Ed Tech folks. It energizes and inspires me. It makes me happy, and remind me that I’m not alone! From your Calendar page, locate the calendar you wish to delete. Your calendars are located under ‘My Calendars’. If you don’t see any, choose the arrow to the LEFT of ‘My Calendars’. All your calendars will be listed here. Once you have located the Calendar to be deleted, select the arrow to the right of desired calendar, and choose ‘Calendar Settings’. Once you select the blue link ‘Permanently Delete This Calendar’, a pop out window will appear. It will ask if you want to Delete the calendar. Select ‘Yes’, then choose ‘Delete for Everyone’. 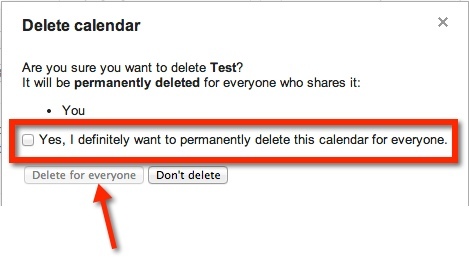 Once you do that, the Calendar is deleted and will no longer appear the ‘My Calendars’ list. 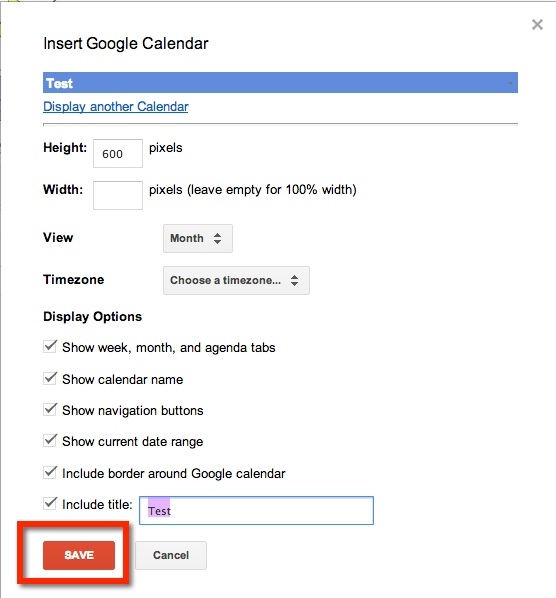 Recently I was asked if you could insert a SECOND calendar into a Google Site. The answer is YES! The process is simple. First, CREATE the new calendar. Make sure that the calendar is created in the same account that the Site is associated with. 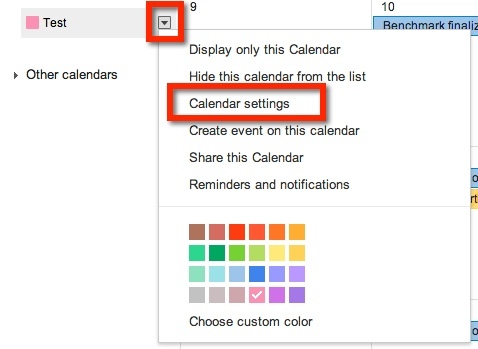 Choosing the arrow to the right of ‘My Calendars’ will give you the option to create a new calendar. This will take you to a new page where you will name your new calendar (1.). 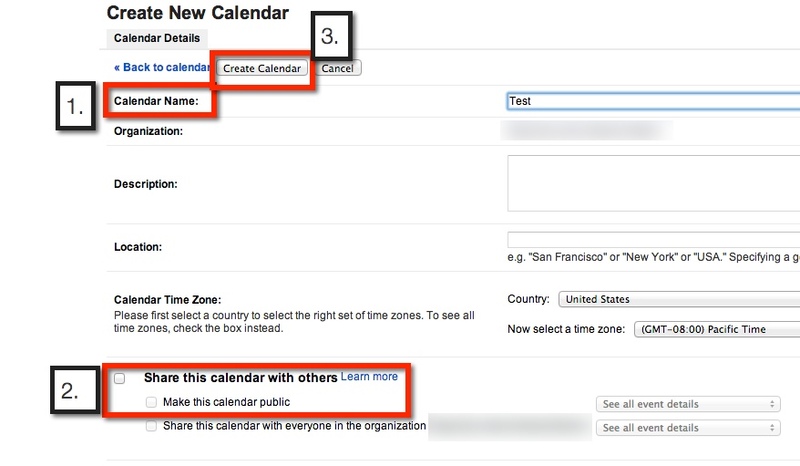 If you would like your calendar public, which you probably do if it’s on a website, be sure to choose the “Share with Others’ then ‘Make This Calendar Public’ options on the page (2.). 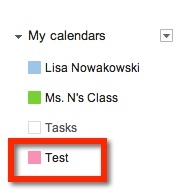 Once you have set up your calendar, remember to ‘Create Calendar’ (3.). 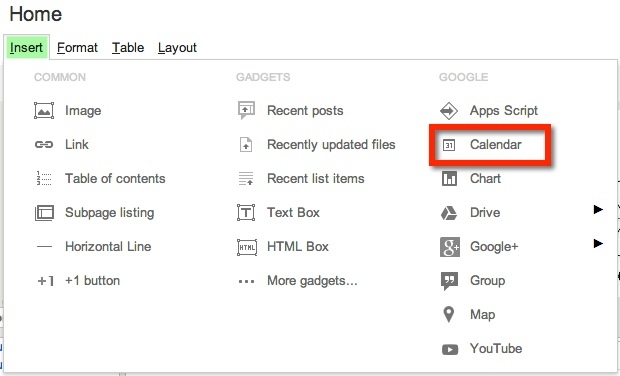 Your new calendar will now appear under ‘My Calendars’ on your Google Calendars Page. Now you are ready to insert information on your new calendar. Locate the Site and Page you would like to insert your new calendar. Enter ‘Edit Mode’ on the Site – choose the pencil icon at the top right of the page (or press e on the keyboard). This will then bring up editing options. Find ‘Insert’, then ‘Calendar’. A new window will appear, choose the desired Calendar. Then, choose the blue ‘Select’ button. From here, a new screen will pop up. 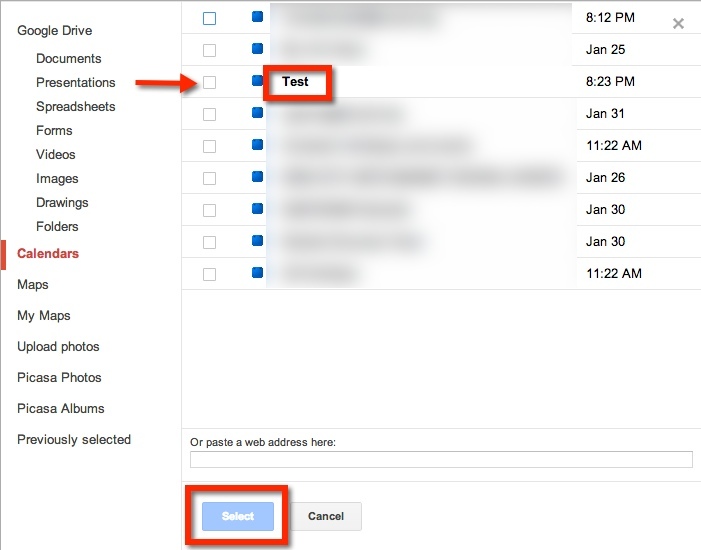 This will allow you to set the properties of the calendar on your Site. Remember to choose the red ‘Save’ button when you are done. Now that you have inserted your new calendar, remember to ‘Save’ the page (located at the top right of the page). You will now see your new calendar.